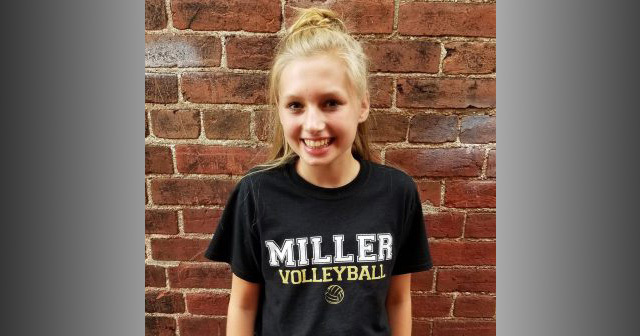 Ella Whistler, the student victim of the May 25 shooting at Noblesville West Middle School, and her parents, have filed a lawsuit against shooter David Moore’s parents. Ella, Cory and Julia Whistler on Nov. 19 filed a civil suit against Kevin and Sarah Moore, alleging negligence and strict liability for the actions of David Moore and requesting damages “they have and will continue to sustain,” according to the lawsuit. One week later, on Nov. 27, subpoenas were filed for the Moores. On Nov. 28, Hamilton County Superior Court 1 Judge Steven R. Nation granted the Whistlers’ request for a jury trial. David Moore on May 25 entered NWMS with a .22 caliber semiautomatic handgun with a silencer, a .45 caliber handgun, a knife and ammunition. He opened fire just after 9 a.m. in Jason Seaman’s science classroom, shooting Seaman three times and Whistler seven times. The lawsuit states that Moore had access to the weapons by way of his parents, who owned them. “The handguns and ammunition were stored in a gun safe located in the closet in the basement of Kevin Moore’s and Sarah Moore’s home,” the lawsuit states. “The storage closet was adjacent to the room in which (David Moore) played video games. (David Moore) knew the location of the gun safe. (David Moore) knew precisely where the key to the gun safe was located. On information and belief, the key to the gun safe was regularly kept in visible and close proximity to the gun safe in the same storage room. On information and believe, the silencer affixed to the .22-caliver semiautomatic was acquired and possessed without complete adherence to all applicable laws governing the acquisition and possession of silencers. The lawsuit states that Moore accessed the weapons the night before the shooting, leaving the safe open with weapons “strewn about,” which is how police found the basement when they searched the home the following day. As of press time, a date for the jury trial has not been set.